Safety directors develop policies and protocols upon which construction workers perform their duties. This helps workers reduce the chance of accidents and injuries and prevents from losses that the company may be hit with due to inability to meet deadlines. One of the first things that a safety director does on a typical workday is to inspect the premises and the machinery that workers will use to ensure that they are safe to run. He may look for potential hazards such as slippery floors or faulty equipment that may result in a problem. He will also inspect workers to make sure that they are wearing safety clothing and gear such as helmets and jackets. Develop and submit comprehensive safety report of each inspection undertaken. 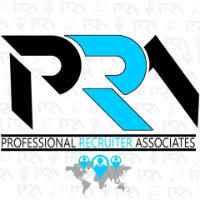 For immediate consideration, please forward a copy of your current resume to info@profrecruiters.com referencing job #1683 or a link to this job.